Before even opening this book, I couldn't help but notice the dustjacket cover. A man is inside of a syringe, attempting to keep whatever is to come out from squashing him. The X has three lines connected to the syringe, one directly at center, the other two diagonally offset from the center line. I don't know if anyone else has ever noticed this, but a lot of old mystery/crime novels have covers which reveal clues as to what's going to happen even before you open the book. Really old Agatha Christie paperbacks are great examples -- after you read the book, you look at the cover again and see that in some cases, the entire story is symbolized by the front-cover art. For a long time I had to stop even looking at the covers because once I cottoned to this fact, I was worried that the cover art would be a dead giveaway. This isn't so true any more, but with Kelly's A Cold Coming, it's right on the money. She also wrote seven nonseries novels between 1961 and 1974, winning the Gold Dagger for one of them, The Spoilt Kill, in 1961. She married Joseph Kelly in 1950, received an MA from University of Edinburgh in 1951, and went on to become a teacher. Kelly also became a member of the Detection Club, where she acted as secretary. Her 1971 short story "Judgment," was later selected to be included in a 1984 Hamlyn anthology of The Best Crime Stories, but she put pen down and quit writing in 1976. There isn't much more to discover about her on a personal/professional level; however, it's obvious from the prestigious Dagger award that Kelly's work was both well received and appreciated in the field of crime/mystery fiction. Just briefly, A Cold Coming starts out of the gate going full speed ahead. It begins with a young student, Alec Starmer, who wakes up woozy, cold and unaware of where he is. All he knows is that he's on the ground, with the sea nearby on the other side of a rise. His memory slowly returns and realizes that he's without his friend Roy, whose location is a mystery. Little bits and pieces surface and he decides he has to get help, eventually making his way to a house. Suspicious that he might yet be walking into a trap, he sneaks about the grounds and discovers that indeed he'd made the right decision, because there was the car "from which he'd struggled and run" right there in the yard. This time, though Alec plans to use it to make a getaway. Before he can leave, however, he sees a hand waving at him -- and discovers that someone is being kept prisoner in a small building on the property. Quickly gathering his wits and the man, they make their escape on a harrowing ride away from there, but all does not go well. Eventually, though, Alec makes his way to a police station, and later receives word that Roy has been found at a Catholic girls' boarding school in Northumberland. Once the friends are together, the investigation into what exactly happened to them and why begins in earnest, with Inspector Brett Nightingale taking the lead. I have to say, this is certainly one of the more confusing 1950s British mysteries/crime novels I've read -- it moves from a stay at a research/treatment facility for colds to a cancelled opera, then on to kidnappings, moving ever further outward to discussions of potential brainwashing, biological weapons and then to corporate warfare ...I mean, seriously, it was hard to keep track of what was actually going on here. Then everything is all muddled with the two students, one of whom, it seems, is trying to keep a lid on the fact that he comes from wealthy parents, not that his ancestry has anything to do with the actual storyline. 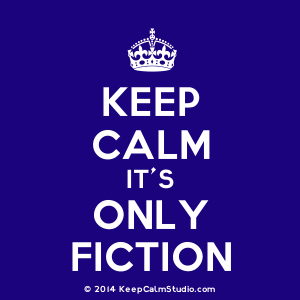 For a novel that starts out so strongly, it certainly takes a nose dive once the clues start falling into place, a very unusual phenomenon in my experience. Normally it's the other way around -- here, I felt the author was sort of confused and couldn't piece things together in a coherent way. In short -- this book takes the reader sort of all over the map and the experience just wasn't pleasant. 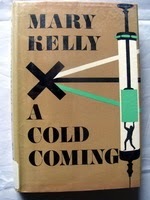 I'd be willing to try another novel by Mary Kelly, but probably one of her later ones. This one -- well, it just didn't do anything for me. I was rather disappointed, actually, but considering it's her first novel, chances are it's most likely a case of author inexperience in this case.